There are roughly 1.4 million immigrants in the U.S. from El Salvador, but the history and literary contributions of this nation are overwhelmingly unknown, and are much less talked about. For bookworms, here are 11 women authors that represent the vast talents that come from the smallest country in continental America. As the daughter of Salvadoran and Mexican immigrant activists, Edyka Chilomé does not shy away from using her words to raise awareness of the plight of her people. In her book “She Speaks | Poetry,” she delves into personal and global politics with a focus on diasporas as well as spiritual activism and traumas sustained by generations of Latinos. The queer Dallas, Texas-based author often writes about women in her homelands and their history of abuse and violence. “This is the beauty of our ways – we survive together and we can heal together. As young U.S. born Salvadoran artists, our work is no different. It remains aligned with our history as un pueblo de lucha, de colores, y de fe – que nuestros cipotxs tendran un mundo major,” she told Remezcla. As one of Central America’s most prominent writers, Claribel Alegría straddled between her Nicaraguan and Salvadoran roots. Though she was born in Nicaragua in 1924, her mother was from El Salvador and she considered it her homeland, visiting frequently up until 1980. After criticizing the violence committed by the military government, she was unable to return for 12 years. 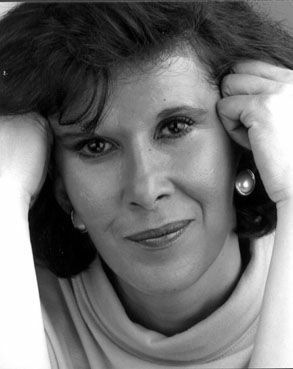 Alegría published numerous works under her pen name, including the book of poetry “Flowers for the Volcano,” and was awarded the Neustadt International Prize for Literature, considered the American equivalent of the Nobel. The famed writer passed away in January 2018 at age 93. The self-proclaimed “LA-born Salvadoran Fat Fly Poet,” Yesika Salgado is as much a social media star as she is a successful writer. Her raw honesty about love, dating and heartbreak is captured both in her debut release “Corazon” and in her regular Instagram posts. She also writes about family, city life, her culture and “her brown body,” and is one half of the founding team behind Chingona Fire, a Latina feminist poetry collective. Daisy Cubias began writing at a young age when she noticed the stark differences between the rich and poor in her country. After moving from El Salvador to the U.S., she dedicated her efforts to raising awareness of the struggles that still plague her homeland, including her 1989 book of poetry, “Children of War: Poems of Love, Pain, Hope and Determination” “We choose to be here to better ourselves and our families. That’s all we want. We didn’t come here to steal jobs, or to rob, or to anything: just to be better human beings. And that’s what I write about,” she told WUWM. Born Margarita del Carmen Brannon Vega on December 20, 1899, Claudia Lars adopted her pen name and published her first book of poetry, “Stars in the Well,” in 1934. Her most notable book is considered “Land of Childhood,” a memoir exploring a child’s self-awareness who bears the observant soul of a poet. In the span of her career, she also published 19 books of poetry. She is nationally recognized for her contributions to poetry and is known as one of the most acclaimed female poets in Latin America. Roxana Méndez is already making waves in the world of poetry, winning national awards and recognition for her works. She was born in El Salvador in 1979 and has published four books, including “El Cielo en la Ventana,” which was translated into English. She often writes about the beauty of El Salvador as well as its violence and tragedies. She was awarded the country’s National Poetry Prize, the National Prize for Children’s Narrative and the Alhambra Prize from Spain. A poet for la resistencia, Nora Méndez’s verses are a direct response to the political turmoil in El Salvador. Having at one point served time in prison for her politics, she’s now actively involved with the Salvadoran Association of Cultural Workers. The San Salvador-born writer studied sociology and communication in college and has also written about issues concerning women in her country, particularly domestic violence. She published “Atravesarte a Pie Toda La Vida” in 2002 and “La Estación de los Pájaros” in 2004. Jacinta Escudos is a writer and poet who has released several books, including the awarding-winning “Crónicas Para Sentimentales” in 2001 and “A-B-Sudario” in 2003. In her writing, she explores the complexity of human emotions, including the dark side of humanity as well as the more trivial. In her latest book, “El Asesino Melancólico,” the novel delves into the darker effects of loneliness, frustration and sorrow when the main character hires a man to kill her and they form an unexpected bond. Escudos regularly hosts literary workshops in El Salvador and via Skype, and also maintains a blog. 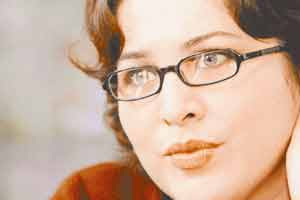 Salvadoran-born Claudia Hernández González is a short story writer who is recognized as one of the most prominent living authors in her country. Many of her stories concern the grotesque elements of life during and after El Salvador’s civil war. Since the late 1990s, González, 43, has published stories in the Salvadoran newspapers CoLatino and El Diario de Hoy. In 1998, she won a Juan Rulfo prize and in 2004 took home the Anna Seghers Prize. Her stories have been published in several anthologies in Spain, Italy, France and the U.S. Currently, Hernández works as a professor at the Central American University José Simeón Cañas. Matilde Elena López was a Salvadoran poet, essayist, playwright and literary critic who was a part of the League of Anti-Fascist Writers, a group of writers that leaned politically left in the 1940s. She’s known as a pioneer among women writers in El Salvador, and some of her most prominent works include “Masferrer, Alto Pensador de Centro América” and “Cartas a Grosa.” She also wrote “The Ballad of Anastasio Aquino” in 1978, which was dedicated to the Salvadoran indigenous leader of the same name who led a campesino uprising known as the Insurrection of the Nonualcos.